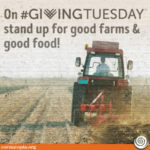 Authentic Food/Farmers in Peril: Double Your Donation – Protect Organics! On this this national day of charitable giving, I invite you to contribute to a cause I know you’re passionate about: good farming and good food. 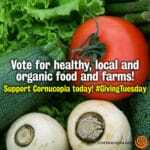 In the spirit of Giving Tuesday, a generous foundation backing Cornucopia’s work has once again offered to DOUBLE all donations in support of authentic organic and local food and farms. 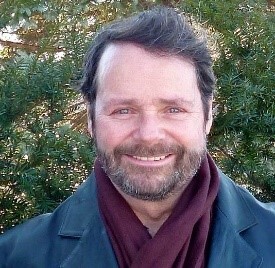 I hope you’ll take this opportunity to double your impact with a gift to Cornucopia today. Truly authentic organic food products—fight the corporate takeover of organics and don’t get ripped off by phony organic food! 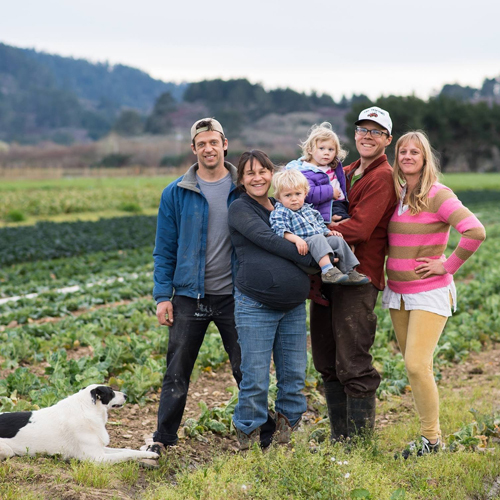 Economic justice for family-scale farmers and ethical food companies. As the demand for organic and local food increases, large agribusiness corporations have been weakening the meaning of organic, local, and other terms we use to connect with each other so that they can get a bigger piece of the pie—and their friends at the USDA, who should be enforcing the law, are looking the other way. Cornucopia’s research and watchdogging, and marketplace education/activism work, informs and empowers lovers of real food to stand up to corporate “organic” (soil-less) hydroponics and livestock factories and reward the most ethical farmers and businesses. They may have the lobbyists, but we have the people power—farmers and eaters united! Any gift you give today will double your impact defending the good food movement. Please donate now, and encourage your friends to stand up with us too on this day celebrating the American spirit of generosity. P.S. In response to the commercial juggernaut promoting Black Friday and Cyber Monday, Giving Tuesday was started by the 92nd Street Y, in New York City, as a way to recognize our generosity as a nation. Celebrate sharing and giving back with a donation to Cornucopia today and it will be matched!